It has finally come to an end. The school arc felt like it dragged on for ages, but the last few episodes things finally started to pick up. The story felt like a forbidden love story between Yuu and Mika, with Shinoa coming between the two. I haven’t been posting new screenshot posts for the previous few episodes because I’ve been late with my posts. Either way, you can still find them over on the episode 4 post where I’ve just been adding screenshots onto the end. 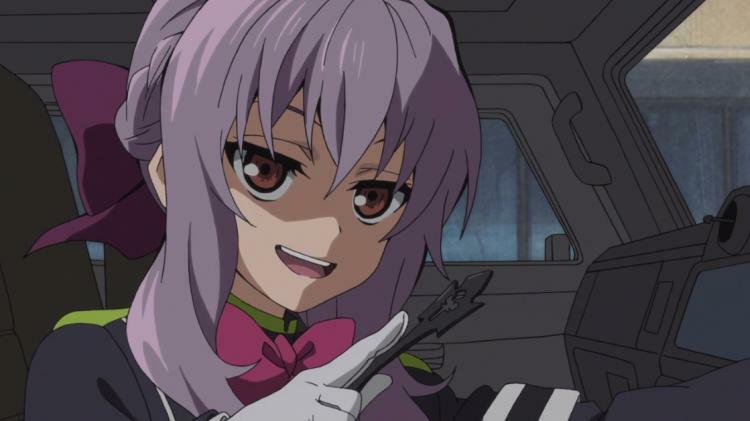 Things are finally picking up, but more importantly, we get a lot of glorious Shinoa moments. Mitsuba is also becoming a contender for best girl in the series. 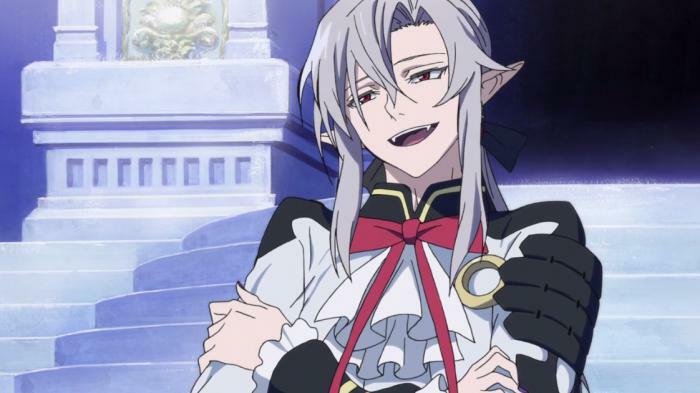 Of course the leader of the vampires is a loli. Yuuichirou really needs to grow up otherwise he might be rivaling part one Naruto for the most stubborn main character! 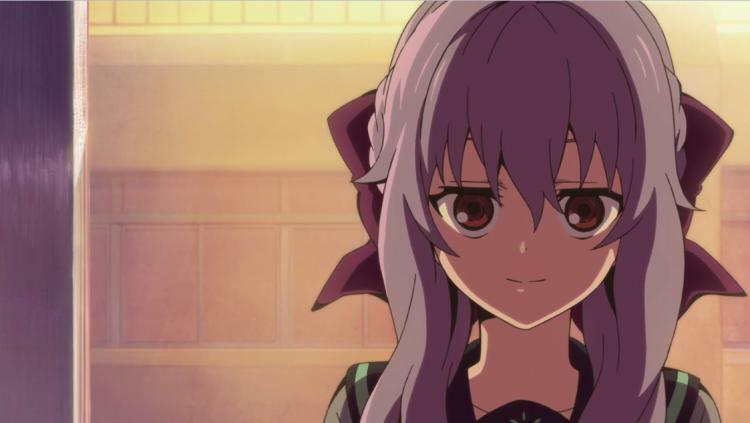 On the bright side, Shinoa still graced us with her presence this episode. Hopefully Yuu will tune his angst down a bit in the future, since he’s rivaling Sasuke in terms of obsession with revenge. 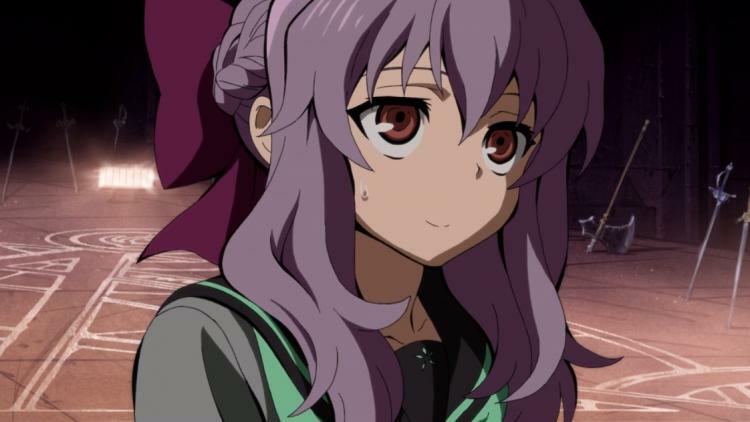 Shinoa still remains the greatest character of this series though! Of course we can’t have a shounen series without some high school action! Yuu is thrown into a school where he encounters potentially the best girl of the season, Hiiragi Shinoa. Yay, a new anime season is here! 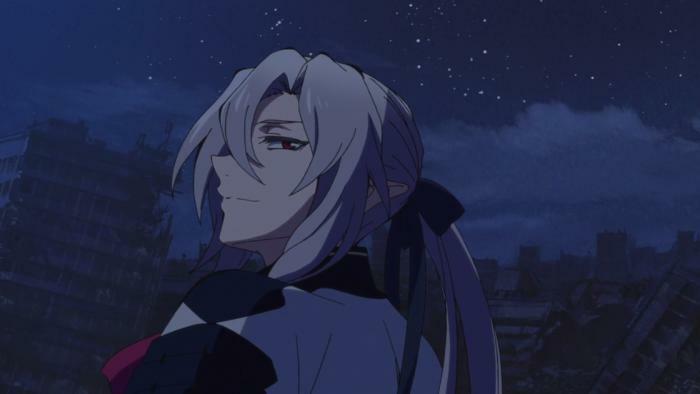 First series that I’ll be blogging about over on the main site is Seraph of the End. Overall, it looks like there’s some promise, but it could be a fine line between being a Black Bullet, and an Attack on Titan. Hopefully the story isn’t too rushed, and we get proper explanations and build up for the story.